This compassionate outlook, enthusiasm and vision continues today in Wellington, New Zealand. We are people who every day share their time and energy, while caring for humanity, to make a difference in the lives of those facing hardship. Vincent de Paul was born in the small southern French town of Pouy (later renamed Saint Vincent de Paul in his honour) on 24 April 1581 and ordained as a priest in 1600 at the age of 19. As a young man he ministered to the wealthy and powerful. However an appointment as chaplain to a poor parish, and to prisoners, inspired him to a vocation of working with those most marginalised and powerless. Vincent de Paul died in Paris on 27 September 1660 at the age of 79. He was canonised on 16 June 1737 and, in 1883, the Church designated him as the special patron of all charitable associations. The Society was named after Saint Vincent de Paul and follows his teachings and compassion for people in need. "The question which is agitating the world today is a social one. It is a struggle between those who have nothing and those who have too much. It is a violent clash of opulence and poverty which is shaking the ground under our feet. Our duty as Christians is to throw ourselves between these two camps in order to accomplish by love what justice alone cannot do". Those words, spoken in 1834 by the Founder of the Society of Saint Vincent de Paul, Frederic Ozanam, remain relevant in today’s world. 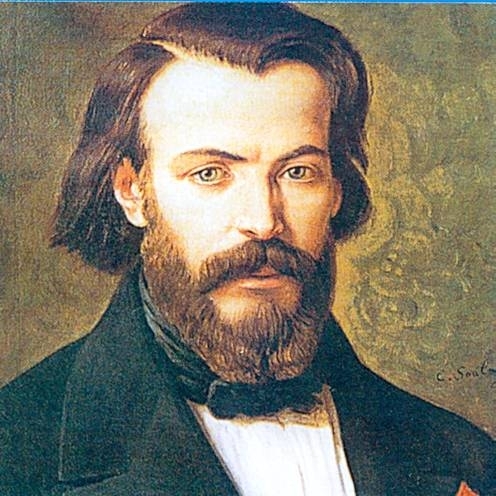 Frederic was 20 years old when he began the Society with a number of friends in Paris on April 23, 1833. He made that defining statement a year later. It encompasses the spiritual ethos of the Society and its focus on working for social justice. The name of Saint Vincent de Paul was chosen for the new Society as its patron saint. From the outset the Society favoured a practical, direct approach to dealing with poverty.